WWE Superstar Dean Ambrose will reportedly leave WWE in April. 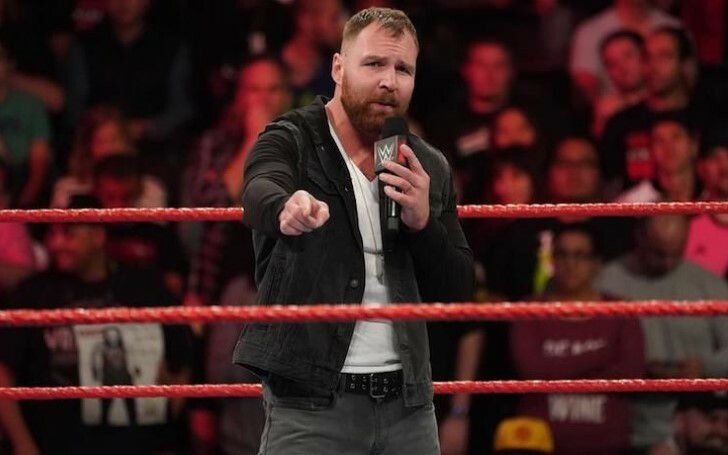 Dean Ambrose (Jonathan Good) is set to leave WWE ring after his contract expires in April, as per the initial reports by Wade Keller of PWTorch on Tuesday morning. Following up with the reports, PWInsider additionally reported Ambrose turned down a five-year deal offered to him which presumably would have paid the Cincinnati, Ohio, native over seven figures per year. Later, a spokesman for WWE confirmed Dean's reported farewell in a statement. With approaching WrestleMania 35 taking place on April 7 at New Jersey’s MetLife Stadium, the wrestler is assumed to leave after the event, which is the culmination of WWE’s season. Dean debuted in WWE in 2011 as "The Lunatic Fringe" and later came into prominence after WWE's minor-league program NXT paired with Roman Reigns and Seth Rollins in 2012. The trio was primarily introduced as the popular faction The Shield which was inconsistent throughout time eventually dissolved last year after Roman Reigns took a break from wrestling while undergoing treatment for leukemia. Meanwhile, Reigns is co-starring in an upcoming "Fast & Furious" spinoff movie alongside real-life cousin and former WWE Superstar Dwayne Johnson "The Rock". Earlier, Dean's wrestling career faced a short time hiatus following a triceps injury in December 2017. He later reappeared on WWE television again on August 13, 2018, on an episode of Monday Night RAW where he helped Seth Rollins take on Dolph Ziggler and Drew McIntyre to win the Intercontinental title. Dean won several titles, most notably the WWE Championship at the Money In The Bank Pay-per-view event in 2016. Moreover, he won "Raw" Tag Team Titles twice, with Rollins, United States Championship, and the Intercontinental Title three times. Prior to WWE, Ambrose was on the independent wrestling circuit with CZW, which is known for its ultra-violent Tournament of Death. Ambrose isn’t the only WWE Superstar to be leaving in April. Current RAW Women’s Champion Ronda Rousey is also allegedly leaving the company after her WrestleMania 35 match to start a family.